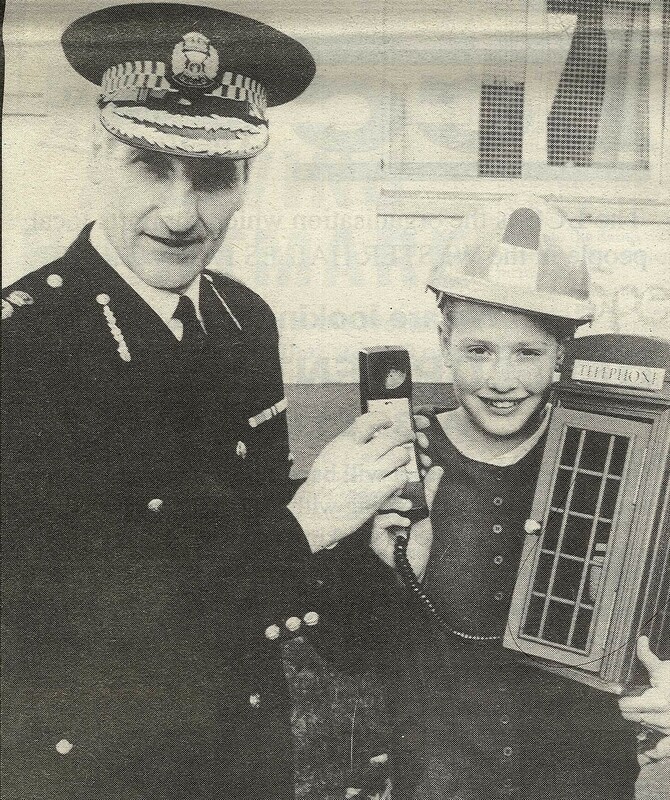 Last week we carried a post about time travelling into the past using mobile phone apps. 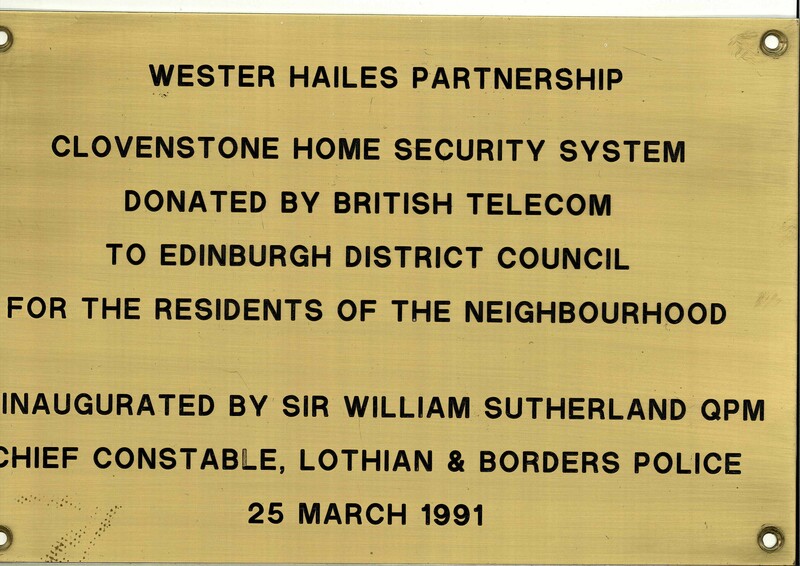 By way of a follow up, here’s a little ditty about strolling through Wester Hailes and remembering bits of its history composed by an avid, but rather bashful, subscriber to the blog who prefers to publish anonymously under the pseudonym of Wullie Topfizz McGunnigle. 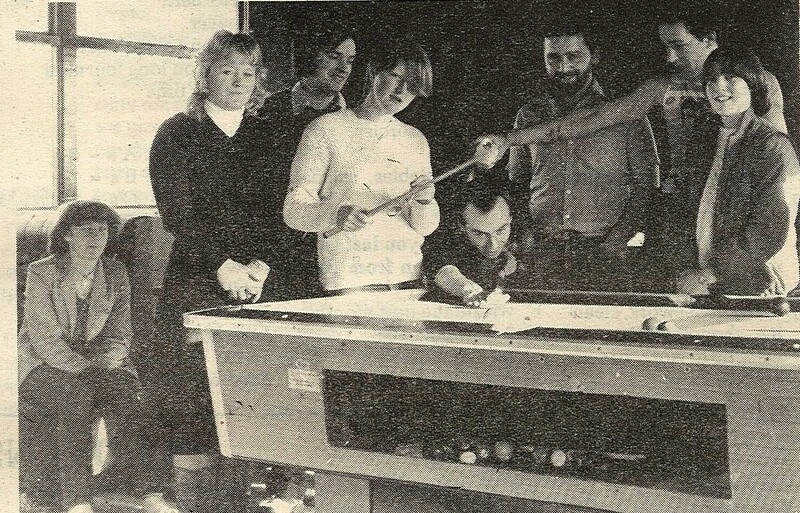 Throughout the years, the Sentinel had regular articles about young people in the area. Whilst not shying away from issues and concerns, the Sentinel also tried to give a balanced view, pointing out the need for more resources and more support for young people in the area. They highlighted young people’s achievements and tried to include stories and news items from a young person’s perspective. equated to 7,000 people. The Sentinel itself tried out a new page aimed at young people although it appears to have been short lived. But they still regularly featured the lives of young people, their interests and their concerns. Click on the links below to see examples of the Young Sentinel, a report on the New Youth Programme and a feature on the lack of facilities and activities available for young people in the area. Categories: newspaper, photographs | Tags: groups, news, Wester Hailes, young people | Permalink. A couple of great mobile applications are now available which can make the recording of peoples’ memories and the histories of places a lot more interactive and exciting. Dr Chris Speed from the Edinburgh College of Art is at the forefront of much of this new stuff. Earlier this week he met with a few of us who are interested in the social history of Wester Hailes and demo’d the sort of things they can do. “Tales of Things” www.talesofthings.com : As the website says – Wouldn’t it be great to link any object directly to a “video memory” or an article of text describing its history? Well, you can, and it’s very very easy. A text, audio or video tag is attached to an object via a small printed QR code (a more sophisticated type of barcode). If you’ve got a smartphone that has an iphone or android operating system, you simply download the Tales of Things app, scan a tagged object and view the attached story. The website also shows how you can tag objects with your own mini-histories. 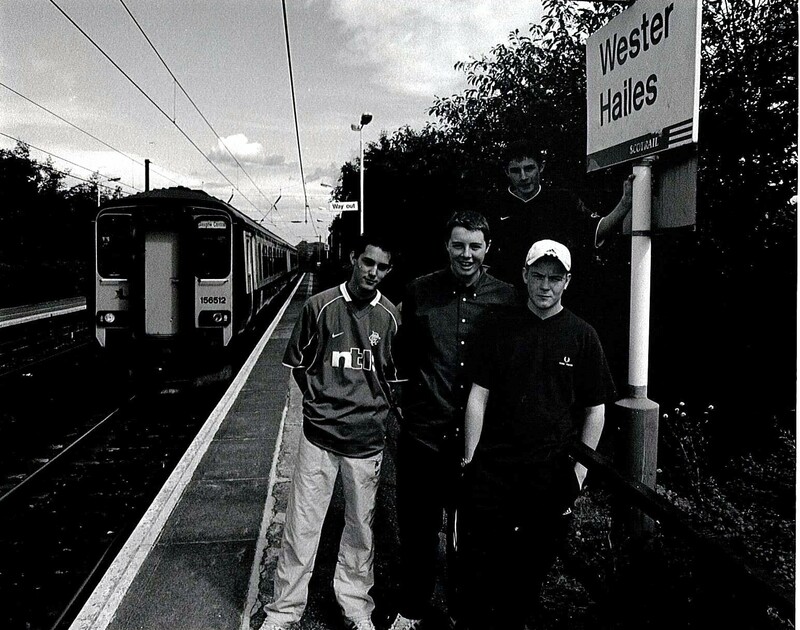 Why not type “Wester Hailes” into the search box and see what comes up? MakkaMappa www.makkamappa.com : This app allows you to access a large collection of maps of all sorts from all over the world, search for what ones you want and switch between them. Because the app is GPS-enabled it will pinpoint your location and tell you the direction and speed at which you’re travelling. The maps have been added by loads of different people – anyone can make a map and add it to the store. Here’s the exciting crossover that’s about to be explored with Chris Speed and others – using and developing these apps to create an interactive social history of Wester Hailes. The idea is that via your phone you’ll have the facility to scroll through a map of Wester Hailes as it is today, tap on different locations and read or listen to stories about the past and view old maps and photos that will show what the area used to be like. As well as that, you’ll be able literally to walk through time, guided by GPS, to different locations which have been QR tagged and, using your phone, read or listen to people’s memories about them. We’ll want as many people and organisations in the community as possible to get involved in helping to make this project happen and to gather information, recollections, photographs and other visual material for it. Watch this space for more details, hopefully in the very near future! Categories: history | Tags: community, history, maps, Wester Hailes | Permalink. Categories: newspaper, photographs | Tags: groups, housing, news, Wester Hailes | Permalink. Twenty years ago last month a commemorative plaque was unveiled to mark the start of a major scheme intended to improve safety and security for Clovenstone residents. Alarm systems provided by British Telecom were fitted to flats in the area designed to inform police almost instantly when break-ins took place. The Chief Constable of Lothian and Borders Police carried out the opening ceremony which was attended by local people and representatives from Edinburgh District Council. 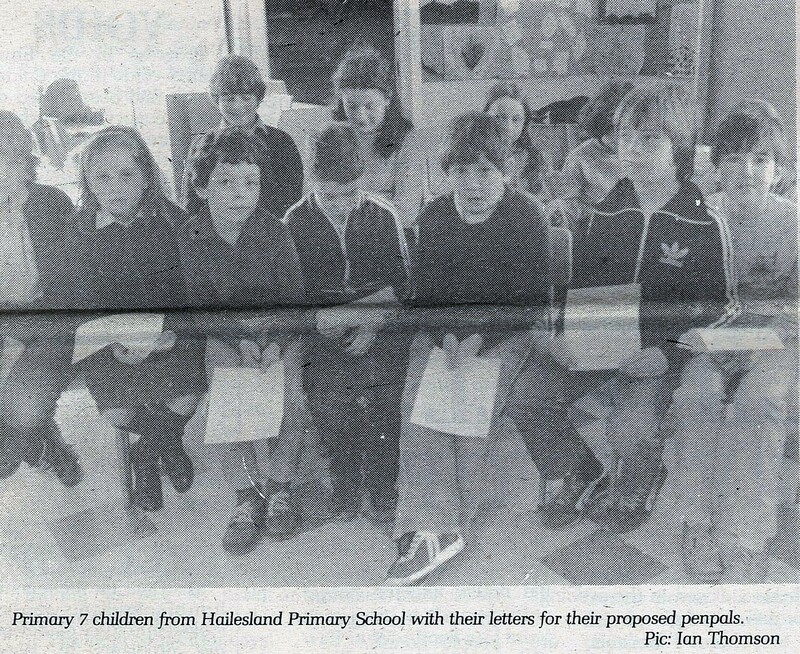 Click here to read the report at Sentinel April 1991. Many thanks to Clovenstone resident Pat Donnelly who rescued the plaque and handed it in to our office for safekeeping when the building to which it was attached was about to be demolished. £100,000 was earmarked for the project and a total of 250 homes were meant to be linked in through the telephone network. At the opening the Chief Constable was quoted as saying, “As far as I am aware this is the first scheme of its kind in Scotland and its progress will be monitored with great interest”. Does anyone remember anything about it? How long it lasted and how successful it was? British Telecom were going to manage the project for the first two years and then hand over to the District Council. Categories: history, newspaper | Tags: history, housing, neighbourhood, newspaper | Permalink. 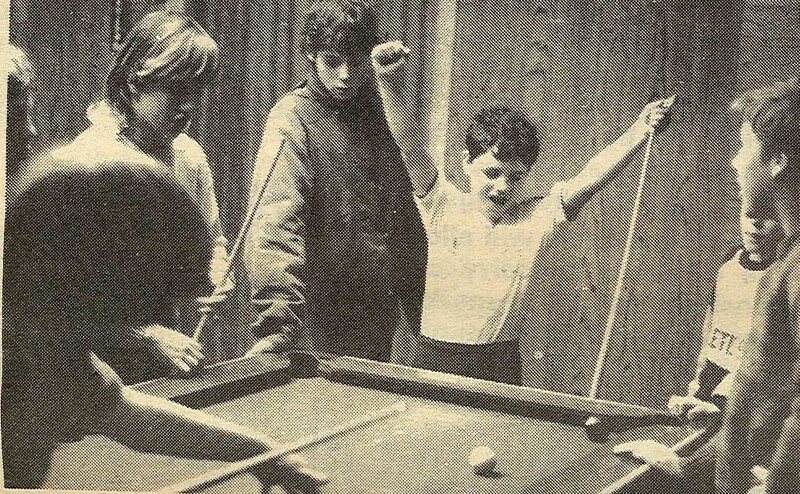 As well as highlighting concerns and campaigning on local issues, the Sentinel documented life over the years in Wester Hailes in all sorts of ways. A common theme from nearly the beginning of the newspaper was its music column which looked at the chart toppers but also championed new music. The Sentinel also promoted local bands like Station 33 who were all students at the WHEC during 2001-2002. They were first featured in the Sentinel after they had made it to the last 100 of a major BBC competition talent search that auditioned more than 2,000 other acts. They went on to play a series of local gigs. You can read about their story here in Sentinel August 2001 and Sentinel March 2002. The Sentinel’s music column altered in shape and tastes over the years depending on who was writing it. We’ve brought you a selection of what was featured over the decades. So if you were a vinyl junkie it will be a trip down memory lane. If you’re from a slightly younger age bracket you may wonder what a 45 was or for that matter a 33⅓! Click on the links below to see what was happening music wise in Wester Hailes. Categories: newspaper, people, photographs, Uncategorized | Tags: groups, music, news, Wester Hailes | Permalink. We’ve hit the 10,000 mark for the number of views for the blog which we thought was worth marking. It’s great that so much interest has been generated about Wester Hailes, both about its past and what’s happening in the here and now. If you’ve not paid a visit to our Face Book page yet, there’s a link at the side of the blog. There are several albums of photos over there, and you might recognise yourself there! There are lots of interesting things happening history wise in Wester Hailes over the next few months so keep an eye out for further news and ways you can be involved. Categories: history | Tags: history, Wester Hailes | Permalink.